According to Adam Schefter, the New York Jets are starting to plan for life without Ryan Fitzpatrick, creating a contingency plans in case they are unable to reach a contract agreement before the season starts. Without Fitzpatrick, Geno Smith is the starter, for now, with Bryce Petty and rookie Christian Hackenberg competing for the backup role. However, Schefter noting that there are multiple plans suggests that the Jets could still bring in another quarterback that is not currently on the roster. Now, knowing Jets fans, the simple fact that this is an actual thing will bring back bad memories. Geno Smith has always been a much-maligned figure in New York sports for various reasons. Simply put, he’s not so popular. Couple this with the fact that Fitzpatrick is coming off the best season of his career and many people, both experts and fans alike, have been calling for the Jets to re-sign him. Unfortunately, it hasn’t been easy, mainly because the negotiating process of formulating a new contract hasn’t featured too much negotiation so far. The current offer of 3 years, $24 million is the same one the Jets initially offered to Fitzpatrick. 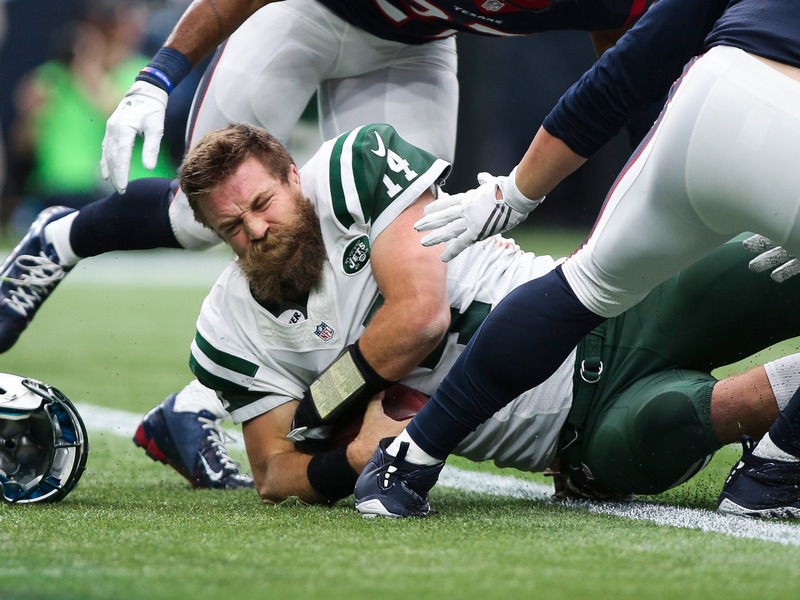 Obviously, the two sides are at a standstill: Fitzpatrick doesn’t like the deal and the Jets won’t try to appeal to his better sentiments. Fortunately for Jets fans, Schefter says that most people in the NFL still expect the deal to get done eventually, but for the moment, the news that the Jets are even floating the idea of not having Fitzpatrick should worry some people. Hopefully, the two sides are able to figure out some sort of compromise so the Jets can enter next season at full strength.